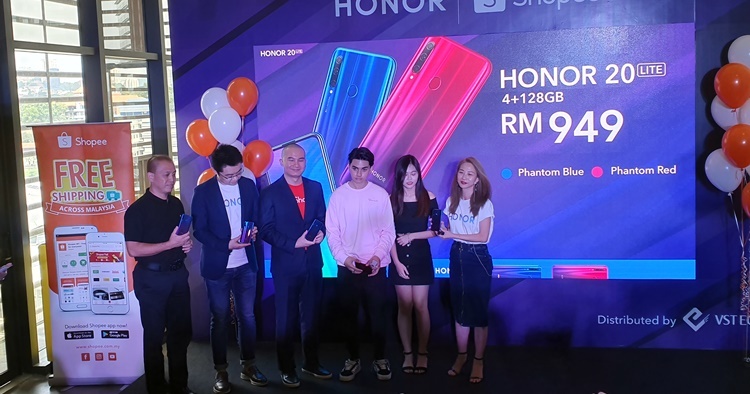 Today, HONOR Malaysia have launched their latest addition to the midrange Lite family, with the HONOR 20 Lite with some impressive upgrades and tech specs might I add. These features include a triple rear camera setup and a cool 32MP selfie camera. 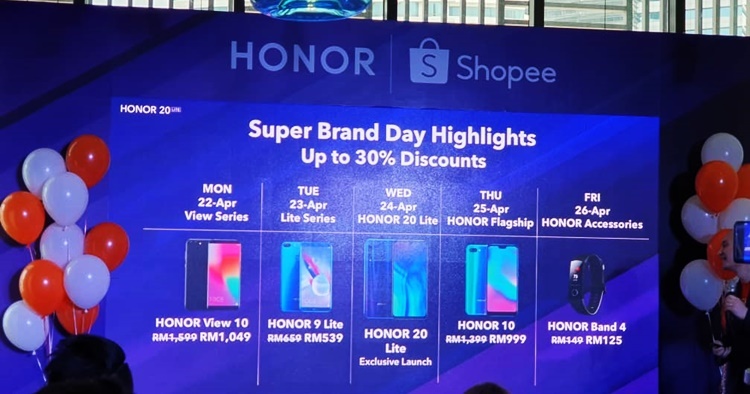 Also known as the HONOR 10i or 20i elsewhere, the device retails for RM949 and will be available from 24 April 2019, 9 AM onwards on their online store. Speaking of online sales, the brand will be in collaboration with Shopee together for Super Brand Day starting from 22 – 26 April 2019. While there’s no special deal for the RM949 HONOR 20 Lite during that period, the HONOR View 10, HONOR 9 Lite, HONOR 10 and HONOR Band 4 will be on a discount sale for RM1049, RM539, RM999 and RM125 respectively. 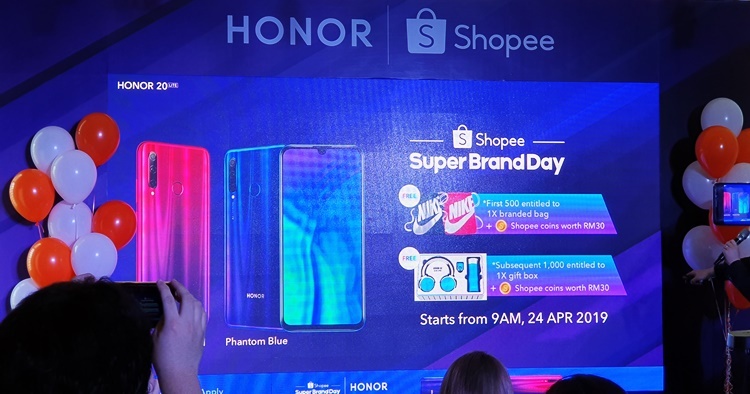 Also in coincide with the HONOR 20 Lite launch day sales, the first 1000 will be entitled for a gift box and Shopee coins worth RM30. Phantom Red and Phantom Blue! Tech specs for the device include the Kirin 710, 4GB of RAM, 128GB of internal storage, 3100mAh battery capacity and a 6.21 inch dewdrop display achieves a 90% screen to body ratio, giving you more to see on the HD+ screen which is quite a step up from its predecessor. Both Phantom Blue and Phantom Red are equally gorgeous, especially when the light hits, giving it an interesting parallel sort of shine. In addition, the device comes with AI Super Night Scene which enhances your night time photography, AI stabilization (AIS) and AI identification. These features are pretty cool which I’m sure you’ve seen on phones such as the Huawei Mate 20 series. On top of that, it also enhances phone calls via AI enhance to make calls less laggy and more clear with noise reduction. So will you be grabbing yourself a device? Check out our first impressions and hands on video to know what we liked and didn’t like about the device. For the latest midrange releases in Malaysia, stay tuned to TechNave.com!